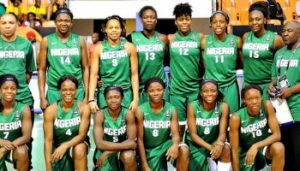 Nigeria’s senior national women’s basketball team, D` Tigress have booked their seminal ticket in the ongoing Afrobasket basketball championships in Bamako, Mali crushing Cote d’Ivoire, 98-43. D’Tigress have won all six games played so far since the tournament dunked off on Aug. 18. Nigeria proved too hot for the Ivoirians’ and took the first and second quarters, 23-13, 23-2, and continued with a business approach overpowering their opponent with 25-17 when they tried to fight back. The final quarter was obvious a giveaway for the D’Tigress who are looking good for the championship trophy come Aug. 27. Evelyn Akhato, U.S based Dallas Wings sensational player, continued to shine in the competition contributing 21 points, 11 rebounds and two assists to lead the scoring chart. Mozambique also fell 69-80 to their superiority, meanwhile.